Livingston-Wilson and Associates represents individual physicians, medical groups and other healthcare professionals with legal issues relating to the operation of their professional practices. Our experience includes matters relating to healthcare, insurance, Medicaid and Medicare, HIPAA, preparing individualized compliance plans that meet federal and state laws and regulations. We also advise health care providers on Certificate of Need (“CON”) issues. We provide counsel to health care providers on matters with the Mississippi State Department of Health and other State boards, including advising and assisting in the licensing of physicians, nurses, and other health care providers, healthcare facilities, equipment, pharmacies and nursing homes. We prepare, review and negotiate physicians’ contracts and other health care agreements. 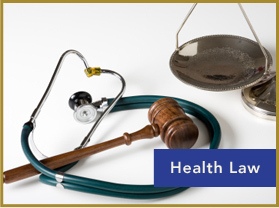 Our firm also provides advice in health care fraud and abuse, as well as compliance training.